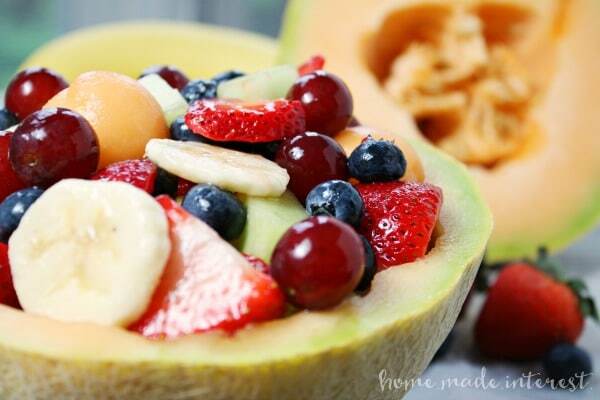 Lemonade Fruit Salad - Home. Made. Interest. I’m really excited about today’s recipe and right before Mother’s Day is the perfect time to share it with you. This Lemonade Fruit Salad is a special Mother’s Day memory for me. When I was in kindergarten my class made a recipe book for our moms. Everyone in the class brought in a recipe to share and this one was mine! My mom still has the handmade recipe book somewhere :). 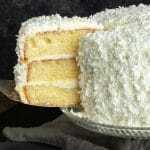 The recipe actually came from my grandma, the same one who made the best coconut cake ever! When I was little one of my favorite things about this recipe was that it was something that I could help my mom or my grandma make. Now my favorite thing about it is that the lemonade keeps the fruit from turning brown. That’s the worst thing about making fruit salads for picnics, pot lucks, or parties. You cut up all of this gorgeous fruit and by the time you get there the bananas and the apples have turned brown. Not with this fruit salad recipe though! 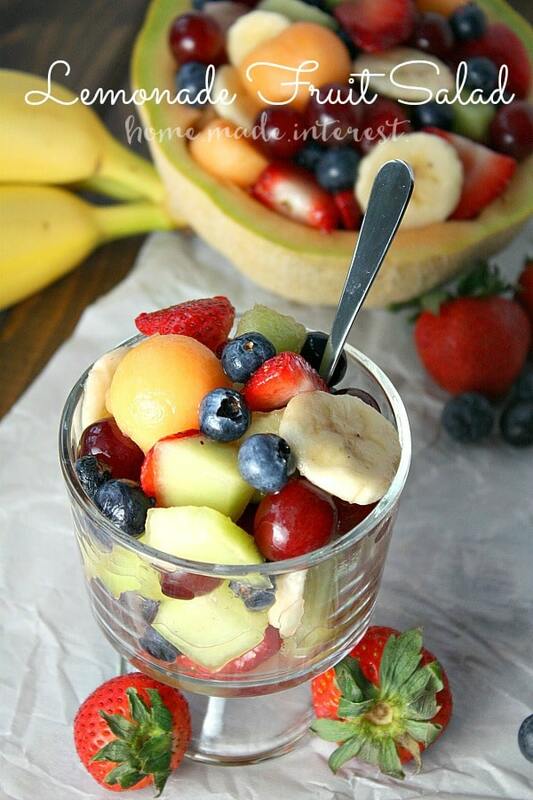 This recipe can be made with any fruit you want. I like to use some kind of melon and/or cantaloupe, grapes, bananas, strawberries, and blueberries. Feel free to throw in or substitute any of your favorite fruit. Once you have everything cut up all you do is open up a can of frozen lemonade concentrate and pour it over the fruit. No need to defrost it first just pour the icy lemonade over the fruit and then gently toss everything together. The ascorbic acid from the lemons in the lemonade will keep your fruit from turning brown as it sits so no more ugly fruit salad! You can make this before guests arrive and it will still be beautiful when it is time to eat. This recipe is light and bright. The lemonade adds both a little sweet and a little sour and it keeps all of the fruit looking fresh. 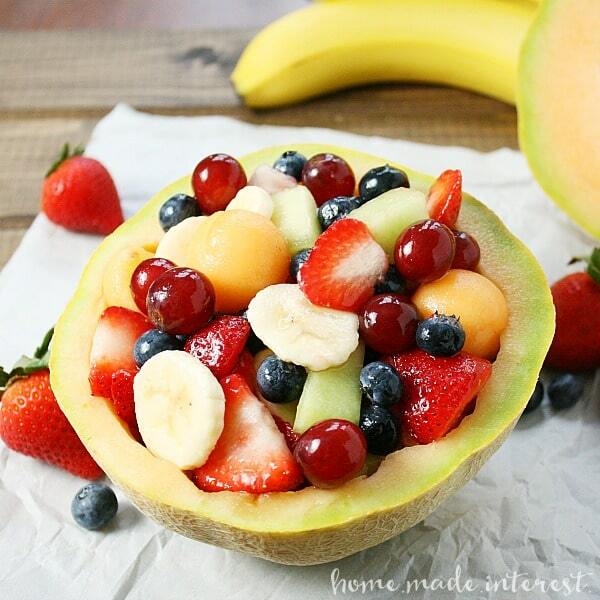 It is the perfect summer fruit salad. Make it for the kids, make it for a picnic, make it for your mom… :). I hope you like it as much as my family and I do! Fruit salad is one of my favorite foods. The lemonade addition sounds intriguing. And it keeps the fruit from turning brown, bonus! 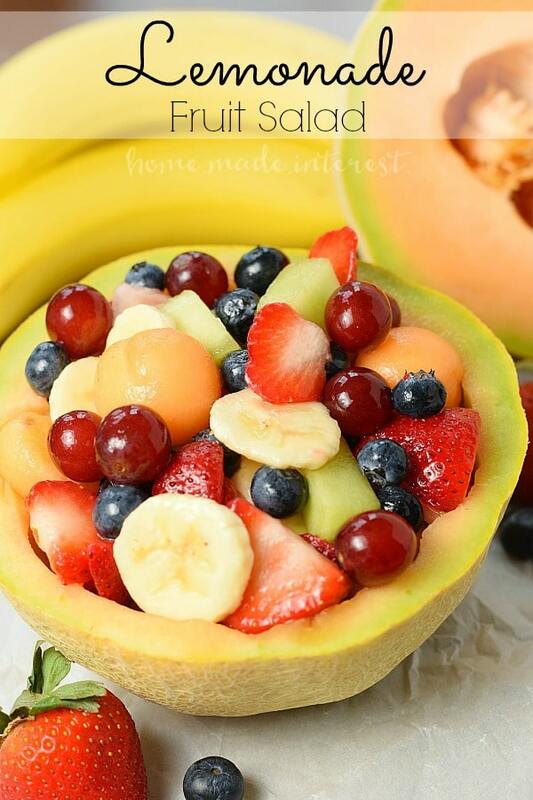 This looks so refreshing and delicious! Thanks for linking up to Link Party Palooza – hope your weekend is great! Could you double the fruit and have enough lemonade with 1 can? Afraid 2 cans would be too syrupy. Sounds delish! I think you’d be fine doubling the fruit but not the lemonade.